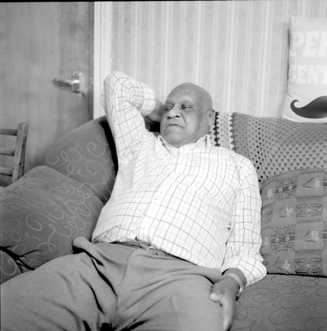 My choice of subject for my research project and photographic portfolio is the Windrush generation. 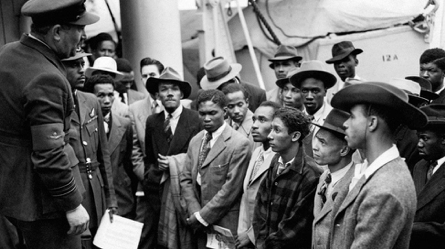 The Windrush generation is everyone who arrived to work in the United Kingdom from the Caribbean (Inclusive of family members) between 22nd of June 1948 and 1971. 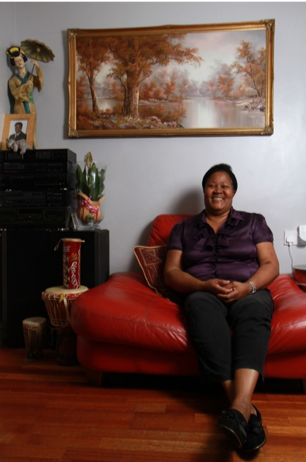 The primary aim of this project is to enable myself and others to better understand the impact of the current Windrush scandal on the Windrush generation. And enable the Caribbean diaspora to communicate their feelings on the entire situation. 1 Community network and research Time spent extended my network of Windrush subjects and collecting data related to this. 2 Contextual research Time spent reading on experiences, challenges and background of the Windrush generation. 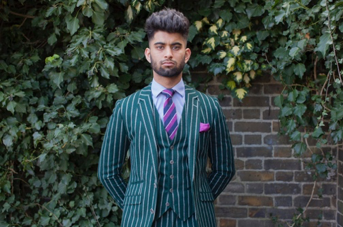 Facts and stories differ slightly after recently attending a talk on the Windrush I was informed that this period continued until 1973 by a solicitor involved in assisting people to attain status this differs from the period found in most locations,1971. 3 Technical know how Improving my competence when shooting film; I have recently purchased a EOS 3000N that will enable me to continue to shoot 35mm with the addition of an in built light meter and auto focus. 4 Exhibition of the project I have found thus far many of the subjects of my imagery are happy to speak to me due to shared ancestry. but have been very reluctant to share their story with a larger audience. The purpose of this project is to highlight their stories to a larger audience and share the narrative with an audience who may otherwise be unaware of the experience and treatment of this section of the British community. I intend to continue to develop my network of subjects with hope of capturing more subjects who are willing to have their images exhibited. Figure 2 During the second World War thousands of men and women were recruited to serve in the armed forces, without this the Windrush generation may have never made the voyage to the UK at all. was a lot of work available. It was thought that these people would come over and help to rebuild the country after the damage caused by the war. The first set of people to arrive from this generation arrived on a ship called Empire Windrush, this ship arrived in Essex on the 22nd of June 1948. Many of the people arriving expected a positive welcome but were surprised by the hostile welcome they received. Many of them struggling to find accommodation and encountering racism and discrimination; some of them also struggled to find work despite travelling thousands of miles for the opportunity. My initial interest in this as a topic was influenced by the Windrush scandal in which many people who worked and lived as British citizens for decades were informed that they did not have citizenship and that they had to return to the Caribbean. I feel that it is extremely important that this story is documented and discussed with as wide an audience as possible. The people that travelled to the UK from the Windrush generation were told in 1971 that they could stay in the United Kingdom permanently, however a record was not kept for many of these people and some of them did not apply for official paperwork to confirm their new status as citizens. With time the story of the journey from their place of birth to their new home in Britain became more of a point of interest. This was based upon discussions with people from the Windrush generation many of whom have discussed positive experiences moving to the UK. 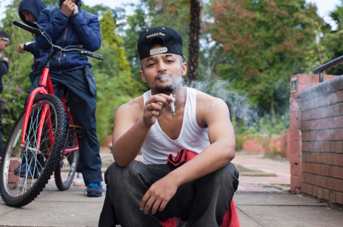 Figure 3 & 3.1 (Right) image was shortlisted an included in the Taylor Wessing portrait award 2018 taken by Mahtab Hussain from the photographic project ‘ You Get Me?’. When I first saw the images in this project, I was underwhelmed, the composition was good, the images well exposed but I only saw a small selection of the images and did not understand entirely what each of the images and the project as a whole was trying to communicate. However I met Mahtab at a presentation of his work where he discussed the elements of his images; what it meant to him and the narrative associated with each of his images, and this enabled me to really appreciate the project. I also feel that seeing the images as a collective allows them to communicate a story better than looking at each of the images individually. What I took from Mahtab Hussain’s project is that it is important for me to include anchoring text to explain the context of each of the images in my project. All subjects have been interviewed whilst photographs were been taken and I intend to include an extract of the conversation alongside each of the images included. Another project that I find to be particularly interesting and similar in structure to my planned project is Michelle Sank’s My.Self project. The images although something I have only recently come across, are something that really resonated with me. Her images have a very personal nature about them; Michelle has also included supporting interviews alongside each of the images. This is something I intend to apply to the imagery from my own project as I feel that anchoring text will guide the person viewing the image to gain a better understanding of the emotions and experiences of each of the subjects. 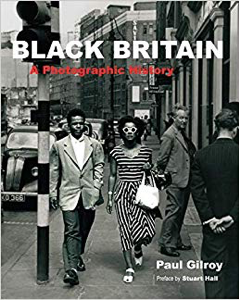 Finally Paul Gilroy’s Black Britain is a collection of images documenting various stages and people from both the Caribbean and African diaspora and their experiences and impact on the UK. I found this book to be highly inspirational it highlighted many things that I was unaware of. this book encouraged me to spend more time looking at and learning about experiences of the generation before mine. 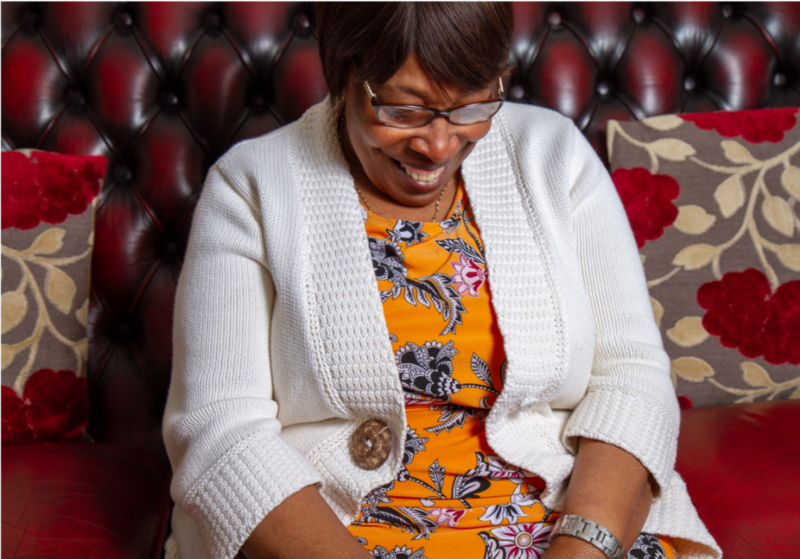 So far I have worked with 5 separate subjects from the Windrush generation, I have found networking and making a connection with subjects who are willing to have their photograph taken and stories shared to be difficult. Many people from the this group are fearful of the consequences that any publicity associated with may have for them. I have decided against using the images from the first photoshoot, these were shot as monochrome images and do not fit in with the vibrant colourful direction I have decided upon for the project. Due to the colourful nature of life in the Caribbean I feel that having vibrant colours is an important factor in representing each of the subjects. Figure 6 Samuel Ryan who moved to the UK from Montserrat as a windrush citizen. 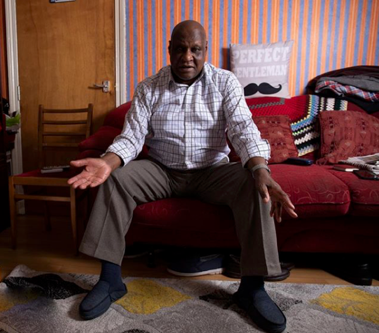 The first of my subjects was a family friend, since then I have taken images of a married couple, a small factory owner, a judo coach, who I approached and asked about his story before asking if he’d be willing to participate and my mother who is also of the Windrush generation. I have also attended a number of events aimed at the Windrush generation and given out business cards and explained the nature of my project. This has enabled me to meet a contributor to the phoenix newspaper in Birmingham, a newspaper aimed at the Caribbean community in the city. I am continuing to attempt to take advantage of my network of connections to expand the potential amount of subjects and have been attending as many events as possible recently making contact with a solicitor who helps Windrush citizens to resolve problems with their status. I am primarily using a single umbrella flash, this requires an electrical socket and limits the amount of locations I can capture images. I am using a Mamiya C220 with Kodak Ektar 100 film and FujiChrome Provia I am also using a Canon 5D mark 4 and 7D. the decision to shoot with multiple cameras was made because although I am happy with the results of shooting film I have experienced missed exposures, incorrect focal points and the occasional soft focus when shooting entirely with film and this worries me! I am happy with the standard of images taken so far and believe that a consistent appearance is evident, each of the images taken using a DSLR is well exposed, vibrant and well composed. However the purpose of me shooting with film is to enable me to improve my photographic practice and understanding and so I would very much like to improve my ability in this area. My communication and networking skills will need to improve if I am to be successful with this project, as many people from the community so far have not been very forthcoming with regards to allowing me to take their photographs for public exhibition. Although this project is open ended, I would like to take pictures of an additional 3 – 5 subjects before the end of the calendar year. Taking me up to a total of 10 images. I have access to a variety of cameras, locations and hardware so far my largest expense has been buying film, although this is a secondary way of capturing the image thus far on 3 of the 5 photoshoots I have shot in film, once I am completely happy with the results and standard imagery created, I plan to move away from digital. I am prepared to travel to other cities in England with large Windrush populations and so additional travel expenses will be incurred here. This will be impacted by my research into Caribbean populations by city and survey to discover more information on the Windrush generation. One of the problems with attaining information on this is the current scandal is linked to the loss of documentation evidencing peoples citizenship. My images will be presented individually, I plan to display one image from each of my subjects, with an accompanying text taken from my conversation with the subjects. The discussions thus far have centred around experience when moving to the UK and thoughts on the current Windrush scandal. 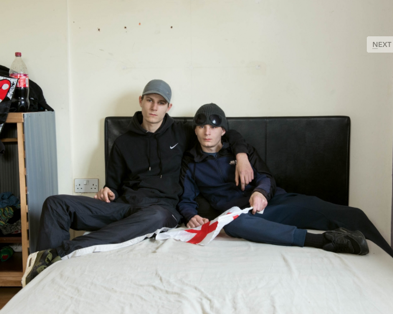 The outcome of this project will be an exhibition of a2, a1 images each with an accompanying text that will hopefully encourage debate and encourage discussion on the ongoing mistreatment of this section of British society. Please read the Risk Assessment Guidelines before completing this form which contains further resources, available from The Photography Centre. CONTROL MEASURE How are you going to minimise the risk associated with the hazards you’ve identified? Taping of lose cables during shoot. Subjects will primarily be captured in stationary positions (Seated or standing) and so placement of equipment location and direction will ensure safety. Medical Expertise Are you or a member of your team First Aid qualified? Do you know wherethe nearest one is? Evacuation procedures Ambulance can evacuate from main road. necessary steps to remove hazards where possible or reduced the risks associated with the remaining hazards to a minimum. I have recorded the main hazards, risks and control measures in this document. has changed since initial assessment.